Prawns shouldn't smell like seafood. 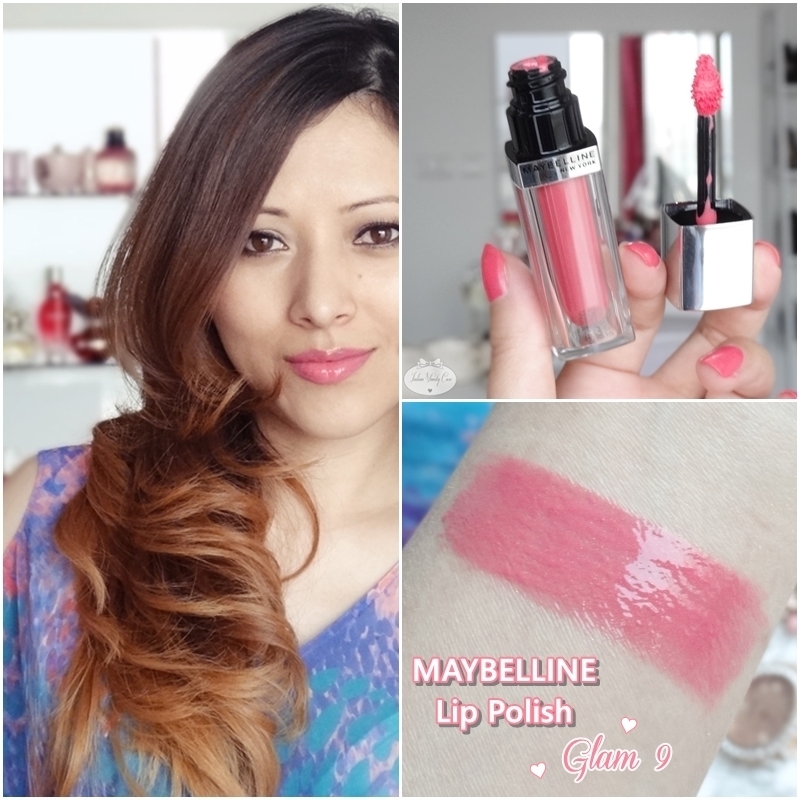 Maybelline Lip Polish: The shade I have is Glam 9, a rosy pink, that you know is my weakness when it comes to lippies. The color is very similar to YSL Rouge Volupte Shine Lipstick Pink In Paris. The texture is thick and creamy, which makes the gloss quite opaque. What's great about it is, it's as if it irons itself, because it looks more smooth and polished after it's sat on your lips for 5-10 mins. Lasting Power: Man, is it super long-lasting! One February day, I'd worn it for hours, then I took a nap & when I woke up, it still looked the same! Scented/Sticky? Unscented. It is non-sticky, and feels like a lip balm. Packaging: Very cute! The tube is the same size as a lipstick, and the inner tube (or whatever) is shaped like a lipstick! • Comes with a specially designed leaf-shaped applicator for quick, precise application. Here, I applied 1 coat. You can layer it after the first coat sets for it to look more coral-pink & opaque. If you're not a sticky lip gloss gal, but you still want that shiny pout sometimes, Lip Polish is the one to try. I've yet to try more shades from this range, but Glam 9 is one shade I'd recommend right now. Price of Maybelline Lip Polish ~ Rs.450. *PR Sample. Opinions are my own, as always. I love the top you have on Cynthia. Where is it from? Wauw I love this color! Looks so good on you! Nice review, though you are so pretty Cynthia that all the colors suits you. This sounds promising ! I need to try it ! That looks amazing on you, very refreshing and light. I only have this in Glam 13, for an MLBB. Sooo pretty! I've held off buying these for months but I really would love to get one or two! It looks so glossy and so creamy! wow, this is gorgeous! totally a shade I would wear. I love the contrast of your lipcolor with the blue color of your top. BTW which nail polish are you wearing, its the same color as the lipgloss! I was thinking of trying one of these but now I think I'll really like them!